Boxer Property has announced its agreement to manage and lease commercial office space at the 67,197 SF property located in Colorado Springs, CO.
February 6, 2019 (Colorado Springs, CO) – Houston-based commercial real estate firm, Boxer Property, announced its agreement to manage and lease office space at 2020 N Academy in Colorado Springs. Karen Hink and Stephen Kradjian, members of Boxer Property’s Asset Services group, negotiated the agreement with ownership. “We are excited to continue expanding within the Colorado Springs market and we look forward to adding value to 2020 N Academy” Hink said. 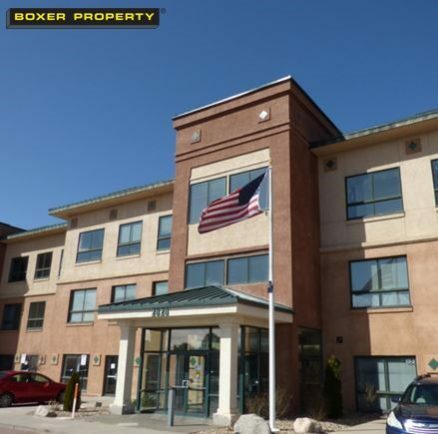 Located in the Central Academy Boulevard corridor the building is close to abundant amenities including restaurants, shopping and is minutes away from Peterson Air force Base. Building amenities at this property include ample surface parking, Western mountain views and outdoor patios. Additionally, great access to Academy Boulevard offers exceptional visibility and signage.